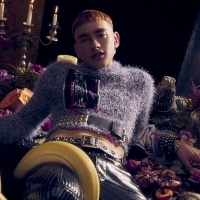 Years & Years are a band formed in 2010 and led by singer and actor Olly Alexander, plus Michael and Emre. Releases include the singles "Real", "Take Shelter" and "Desire", taken from their debut 2015 album, "Communion". The band returned in 2018 with the single "Sanctify" taken from the album: "Palo Santo". Years and Years were acclaimed as the BBC Sound of 2015.